A dramatic scenery of a wild and desolate moorland. An eye-catcher in the Highlands on the road to Glencoe and Fort William. 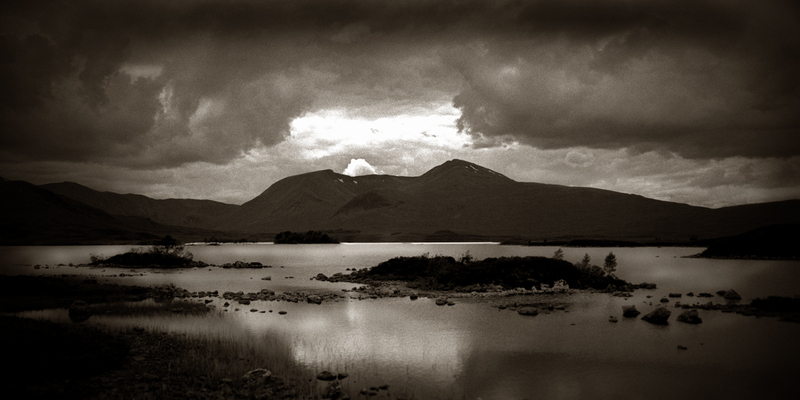 The pictured mountain loch “Lochan na h’ Achlaise” is an area of an oustanding natural beauty in the boggy landscape surrounded with the “Black Mount” mountains. site of Special Scientific Interest and a special Area of Conservation.